Click here if you cant see it. Thank you Dan for the video!! Legendary tattoo artist Adam Dorset (Electric Haven Tattoo / High Life Pomade), his barber and professional kustom tattoo machine builder decided to fly in early for the tattoo boat and spend a couple of days at HepCat Store. So if you’re feeling shaggy and need a straight shave & hair cut, have some skin to be decorated or are in need of a kustom tattoo machine you should swing by SAINT 21. Cherry Overdrive are gonna be a part of Karrierekanonen, a showcase for new talent on the Danish music scene. Cherry Overdrive and 36 other bands will play a bunch of showcases. The top bands will be offered a promotion package tailored to their needs, such as a gig at Roskilde Festival, airplay on Danish radio P3 or a nationwide tour. 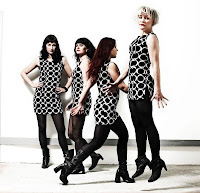 The all-girl garage band will play their first showcase at Loppen in Copenhagen on April 1st. Karrierekanonen is a cooperation between DR, Roskilde Festival, spillesteder.dk and Koda. Live photos! Daddies, Movits and hairstyling! Photos from this Saturday are now up at heptown.com. Check out the gallery! A big thanks to everyone who came out and partied with us. We had an amazing night with live performances from J.Tex, Movits and HepCat Daddies. Ylva and Yen did a fabulous job styling hair for the girls all night long and the dancefloor was packed with dancers, the way it should be. We're hoping all our guests had as much fun as we did! 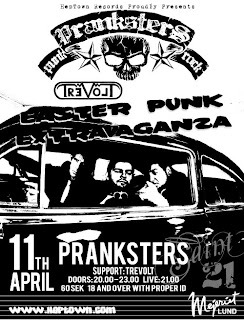 We are proud to announce that Pranksters will be playing at Mejeriet in Lund in April 11th! Punk rock at it's best at our very own Easter Punk Extravaganza. Support will be a punk rock band from Malmö, Trevolt! Doors open at 20.00 and the first band will be on stage 21.00! Only 60 SEK! Club HepCat celebrates 10 years! 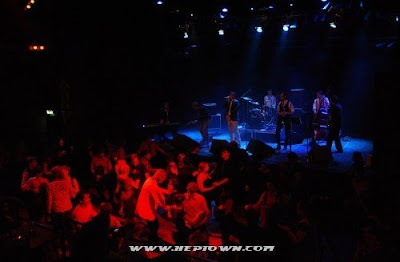 Club HepCat - 10 Years Jubilee! @ Mejeriet is where all the cats and kittens are gonna be! We can hardly belive it's been 10 years. Come and celebrate with us! There is no turning back... it’s gonna be a long hot night. YES! We are still here. Flippin the bird to everyone working against us over the years. Hep Cat Daddies will reunite for this very special 10 years jubilee. Swedish sensation MOVITS! are joining us this evening. Tickets: www.hepcat.se, no extra fees! On Saturday night the entire crew from Saint 21 went and saw Volbeat play at the new arena in Lund. Good show, but the venue felt a little like a school auditorium. Rob got drunk on a glass of red wine and started acting like a 14-year old. He managed to shut off his phone by using the wrong pin-number three times, forgot his keys at the shop and had to be driven home. You gotta love him. Jimmy wasn't sober enough to drive, but he still managed to open up the shop after the gig and sell some stuff. That's the spirit! We also had the pleasure of having barber Patric Fjellman here over the weekend. He'll be back at Saint 21 on the 9th of May to cut some more hair. A big thanks to the guys from Volbeat for putting us on the guest list! DePalma causes mayhem at the HepCat Store! This just in: A huge shipment of clothes from DePalma has paralyzed the entire HepCat crew. The store is filled with boxes containing the latest collection from DePalma. We can't get anything done before they're dealt with. This is priority one, people! Rob is working like a maniac to sort everything and stock the shelves and the webshop. He has a pile of items from the new collection that he simply "must" buy, and it's is growing by the minute. Oh yeah, have you seen what we've done with our back room? Our shop at Saint 21 has gotten bigger and nicer. Drop by and check it out! Art, caps, hats, limited edition denim... We have it all.